RF systems are essential along the modern linear accelerators. ESS will be the world’s most powerful pulsed neutron source based on a linear pulse accelerator (Linac) which accelerates a proton beam of 62.5 mA current to an energy peak of 2000 MeV. The ESS linac includes a normal conducting or warm linac section composed of an RFQ (Radio Frequency Quadrupole), a MEBT (medium Energy Beam Transport) with three bunchers cavity type, and 5 DTL (Drift Tube Linac) tanks. Then, the superconducting section start with the spokes cavities to continue with medium and high beta cavities. The normal conducting linac will be powered by nine power sources (one for the RFQ, three for the bunching cavities in the medium energy beam transport and five power sources for the five drift tube tanks) operate at 352.21 MHz and have to provide the RF power required for a proton beam of 62.5 mA of peak current for over a beam pulse length of 2.86 msec, at a pulse repetition rate of 14 Hz. The RF system can be defined as all the components and subsystems needed to generate and deliver RF power to the cavities between the wall power plug and the cavity coupler. The complete chain includes modulators, amplifiers, RF distribution system, low Level RF system, local interlock and control system. The RF systems generate the required RF power to accelerate the particles correctly. The RF systems have to maintain the amplitude and phase of the accelerating field within a given tolerance to accelerate the charged particle beam. The RF systems protect the cavity and all their own components from any failure. ESS Bilbao is in charge of the “RF systems for warm linac” work package including the design, prototyping, procurement, as well as installation (TBC) and testing at the ESS site of the nine RF power source for the RFQ, 3 MEBT bunchers and 5 DTL tanks. 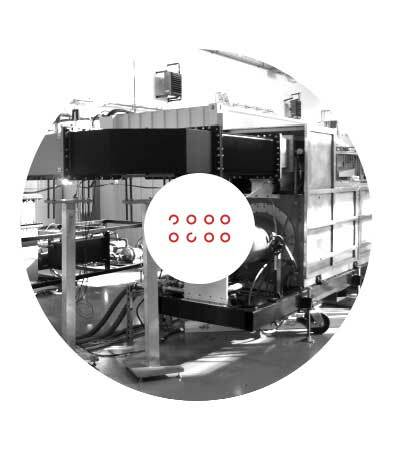 As the superconducting spoke cavities also operates at the same frequency as the normal conducting linac, the ESS Bilbao´s in-kind contribution also includes the LLRF systems for the superconducting spoke linac (26 cavities). Six high power amplifiers: klystrons (2.9 MW). Six klystron drivers (500 W). Three solid state power amplifiers (30k W; including circulator and load). Six RF distribution chains (WR2300). Three RF distribution chains (rigid EIA 1 5-8”). Nine slow and fast local protection systems. Nine LLRF systems for NC + 26 LLRF systems for SC spoke section. RF passive components are designed by means of 3-D full-wave electromagnetic field software Ansys HFSS and accurate models are created and simulated with Comsol Multiphysics. Altium Designer provides the capability the powerful tool to design the electronic required for the RF applications. High-quality RF instrumentation is available to implement specific test-bench for the RF passive or active components or subsystems operating in CW or pulse mode. Remote control of instrumentation, automatization of procedures or processes, integration of state machines or developments of graphical user interfaces are implemented inside the RF control design.